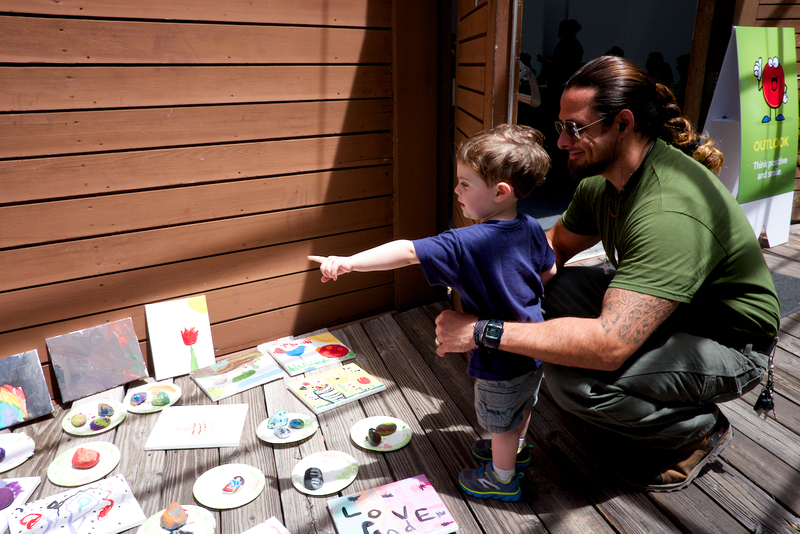 Atlantic Center for the Arts Community Day is a FREE public family event located on Atlantic Center for the Art’s main campus. Tucked away in 68 acres of pine and palmetto, this wooded, retreat-like environment is home to artist studios and is a special Center for visitors and artists from all over the world. Families from all over Central Florida are invited to share in this event that will include workshops and activities for the entire family! 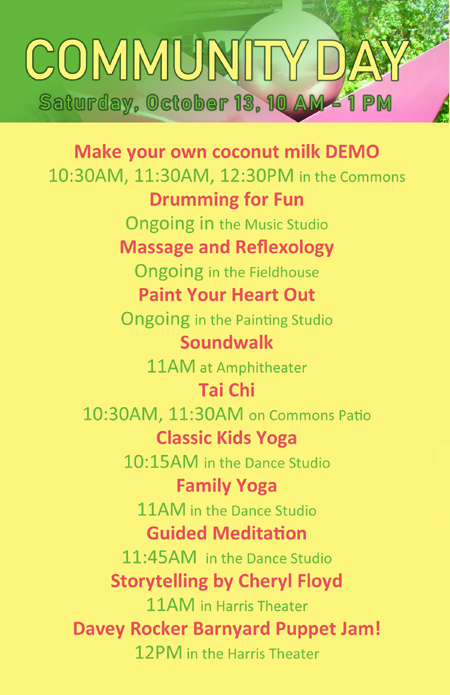 This year, ACA Arts & Wellness ambassadors are teaming up with Natural Awakenings to bring you a Community Day that promotes healthy living and the arts. Try free samples, enjoy demonstrations, and explore with hands-on projects. Discover a holistic approach to living well…mentally, physically, and spiritually. Community Day is for the entire family!